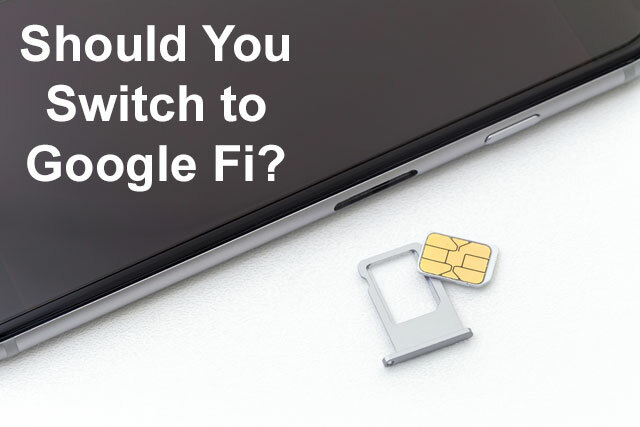 Get ready for an all new kind of wireless service: today Google announced that Project Fi is now available to everyone. Google's oddly named service intends to replace your current cellular carrier with a no-contract plan that combines Wi-Fi and cellular access (in partnership with Sprint and T-Mobile). Wherever you are, Fi looks for the best speeds available, whether that's a free Wi-Fi network or LTE through Sprint or T-Mobile. If you're concerned about the security of using public Wi-Fi, Google's helping there, too. The company has verified more than a million Wi-Fi networks as fast and reliable, and encrypts your data for safety. Fi also takes a page from the iPhone's book and lets you easily link your devices together, so you can talk and text from your phone, tablet, or laptop—whichever is most convenient. And best of all, Fi's pricing is straightforward—something you can't say for all cellular carriers. The service costs a flat $20 a month for unlimited domestic talk and text plus unlimited international texts. For that pricetag, you also get coverage in over 120 countries (though data speeds are limited to 3G), something that other carriers only match with slower speeds or higher pricetags. For data, you pay $10 per gigabyte, and Google will refund your money for any data you don't use: so if you pay for 3GB and only use 2GB, Google will give you $10 back. If that description has you ready to buy, hold on. Google Fi is currently only available on three Nexus phones: the 6P, 5X, and 6. If you don't have one of these phones, Fi simply isn't an option—but if you're looking to upgrade to a new phone, Google's offering the 16GB Nexus 5X for $199 if you activate it with Project Fi. So how does Fi stack up with the competition? Let's run take a look at the cost of a single phone with a 2GB data plan, only being used domestically. International Data Included at 3G speeds Starts at $30 for 120MB, with overage for $0.25 per MB. Speed varies by location. Included at 2G speeds, otherwise pay per 100MB starting at $15 for 100MB for a day. Included at 2G speeds $2/day per device in Mexico and Canada; $10/day per device in 65 other countries, with data taken from your regular plan allotment. Speed varies from 2G to 4G, depending on where you're traveling. Right now, Sprint beats out Project Fi on a basic price comparison—but Sprint's current pricing varies depending on the carrier you're switching from, so your plan may cost more. Where Project Fi shines, however, is with international travelers. Even though Sprint and T-Mobile also include international data, it's at lower speeds, while both AT&T and Verizon offer pricier packages, with AT&T being the most expensive of the bunch. So is Project Fi a good buy for you? If you travel internationally, the answer is definitely yes, but if you're just using your phone domestically, its pricing isn't that far off from other carriers. For the same one gigabyte of data as the Sprint plan listed in the table; Project Fi would only be $30. With Project Fi you are billed per megabyte used regardless of the data plan you select. The nice thing about Project Fi is that you are billed for only the data you actually use and don’t have to worry about overage or complicated roll-over rules. If you consistently use a lot of data (2.5GB+), Project Fi is not cheaper than the other carriers. Well i have been with Project Fi for little over a month now and i would say it is worth it. There are no overage fees if you go over your data its still the same $10 per gig. If you estimate your data usage and its less then what you paid for you actually get REFUNDED on your next bill. My first bill was $33 since i opted for 1 gig plan. With that I’m normally always on WiFi. At the end of my period I only used about 400 MB and got refunded $6 making my current bill only $27 down from the $33 i paid initially. Google is very transparent about charges and there are no hidden fees that main carriers like to charge. Also you are using 2 networks the switch intelligently so you always have the best service. Plus calling via WiFi and then moving to cellular is truly seamless. Highly recommend it. The lowest priced plan seems to be $40/month. My current plan with Ting fluctuates (I pay for what I use, no more, no less), but it’s always stayed under $40, and averages at around $30, with the lowest month so far being $17. Compared to what I was paying Sprint three years ago, which was $92/month. It certainly looks like a good option for some people. Just not for me. Not sure of the exact pricing on Ting but Project Fi is similar in that you only pay for the data that you actually use. $20/mo is the baseline though and you pay for your data on top of that. So if you use 500 megabytes of data, your bill would be $25 ($20 + 0.5 * $10/GB) for that month. Switched several months ago as Sprint couldn’t see their way clear to give a long-time customer a better deal. The big advantage is having connections to two radios at once (T-Mobile on GSM and Sprint on CDMA). This always gives me a much better chance of getting a signal, although no system is perfect. As I use little data most months, my phone bill (with taxes and insurance) has been under $40. The Nexus 6P has been a great phone (although I still hope that the next Samsung Note is Fi-compatible). I will save about $1000 on my bill over the next two years. You can subtract $400 from that, though, as I had to buy the phone up-front with no carrier subsidy. The best part of Fi is that, in a very small way, I make my unhappiness with the major carriers known, even if I am still using their towers. Once you add in the phone it’s cheaper too. Right now I am paying $80+tax with t-mobile with the phone, If I went to project fi and got the 6p 64gb it would be $62+tax. That’s if I go with 2gb. I never go over 1gb so I would get the $30 plus a $22 phone bill a month = $52 a month plus whatever I don’t use. So like $50 a month. Idk where you can do that unless you pay your phone outright. If you have a good corporate discount to keep costs down, Verizon cell phone plans is worth it. $105 per month to keep unlimited data, it becomes less compelling unless I really needed the coverage. I’m satisfied with Project Fi. From paying $110 on T-mobile to $35, I’m content. I give them the benefit of the doubt that later down the line there will be much more improvement to the Fi Network. The pricing mentioned in this article is weird though. It’s $20 for unlimited voice and text and $10 a gigabyte of data. So the author says they are on the 2GB plan which is a total of $40 plus tax, roughly $44, not the much larger amount shown. I’m on the 2GB plan but never use all 2GB so my bill is around $33 a month tax included. Fi is not for people who use a lot of data and need a plan to handle that. It IS useful for people who currently pay for a lot of data they don’t actually use or for people who simply want to pay for what they actually use without being stuck on a prepaid plan that limits them to 3G or annoys them with usage reminders after every stinking call. For me, I am saving about $70 a month compared to Verizon Cell Phone plans for about the same data usage. I’m in my 4th month with Fi and am thoroughly happy so far. The main reason for that is data usage, which has dropped from roughly 2.5GB a month to about 400MB due to nearly always being on Wi-Fi. That said, there are a couple of annoyances and oddities. On the annoyance front, the handoff from mobile to Xfinity Wi-Fi can be glacial, with waits of up to a minute before the connection delivers data throughput. I suspect the cause is a lack of capacity on xfinity’s end. The primary oddity is “ghost” calls, which always arrive from the same number under the same circumstances. Specifically, I regularly receive cell phone calls from (408) 256-0700 right after the phone switches from mobile to Wi-Fi. It’s apparently a 911 callback number (what you’d see if you called 911, got disconnected, and they called you back), that’s somehow being triggered to call by the network handoff. Why is anyone’s guess. Fi has saved us 100 dollars/ month (verizon) and the phones are fast. the wifi ability is improving dramatically over time and using our google numbers, we think give us better privacy. We hope Hang Outs improvements will integrate to simplify video group calls soon and the new video app from google we hope will help. great service and customer care. Google has a hit which is still a secret to many. I feel like I have an inside secret that the rest of the world doesn’t know about. The plan works perfectly, the phones are great (I’m on the waiting list for pixel, too!) and there is no customer service that can come even close to competing. The speed, friendliness, professionalism and efficiency are of a standard that isn’t even known to the other companies I’ve been with. I’ve only been with Sprint, T-Mobile and Verizon but that’s a pretty good sampling. I’m 100℅ happy. I don’t know what these raves are about? I was with Fi since it was in beta. I have been lied too, and had bad reception for over a year. I have to go in the balcony to get reception. So I started using Verizon. I now have both. But am dropping Google Fi cause it doesn’t get decent reception. I am using Verizon to type this because Google Fi doesn’t work right here in my house where I am typing. And if Fi can’t get you a local number they will lie. They will say it hasn’t happened before. It happens a lot!